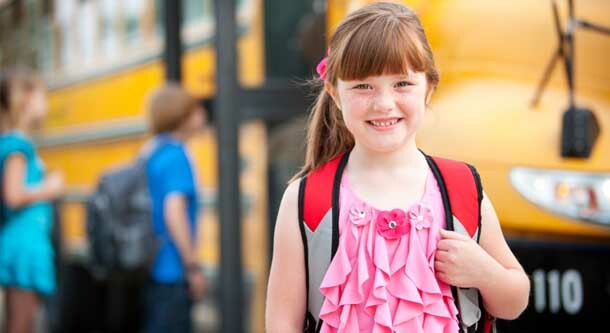 August 6, 2018 - - -As a new school year begins, AAA’s “School’s Open, Drive Carefully” campaign aims to reduce the number of school-related pedestrian injuries and fatalities. 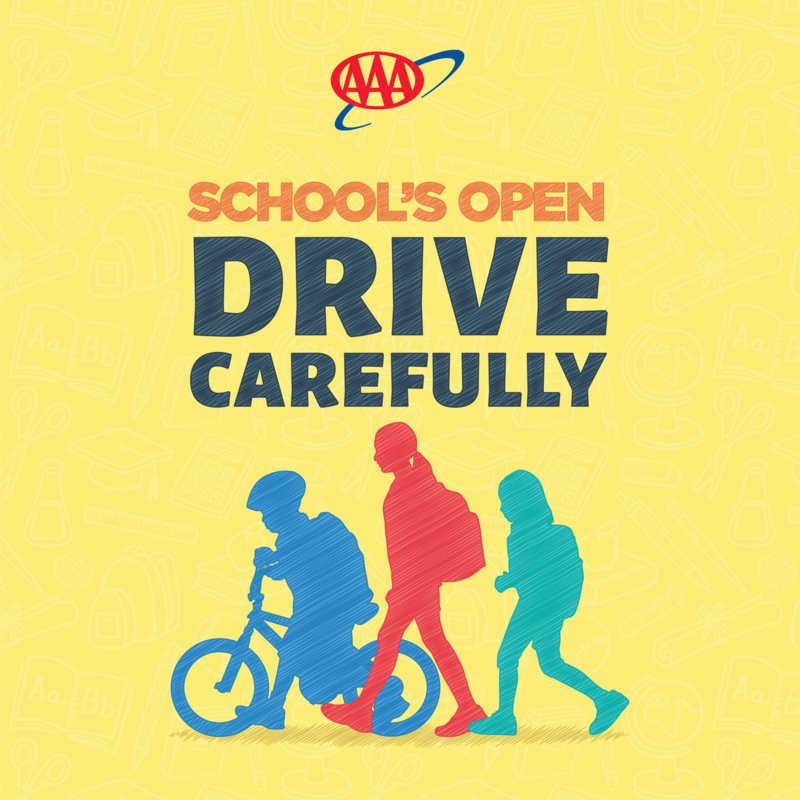 With more distractions than ever, AAA reminds motorists to watch out for students as they travel to and from school. School zone speed limits are in place to save lives. Motorists need to be especially vigilant during the morning and afternoon hours when schoolchildren are walking to and from school. A hit-and-run crash occurs every minute on U.S. roads, according to recent research by the AAA Foundation for Traffic Safety. Most victims of fatal hit-and-run crashes are pedestrians or bicyclists. AAA data also shows that a pedestrian struck by a vehicle traveling at a reduced school zone speed of 25 mph is nearly two-thirds less likely to be killed compared to a pedestrian struck by a vehicle traveling just 10 mph faster. Reverse responsibility. Every vehicle has blind spots. Check for children on the sidewalk, in the driveway and around your vehicle before slowly backing up. Teach children to never play in, under or around vehicles. Watch for bicycles. Children on bikes are often inexperienced, unsteady and unpredictable. Slow down and allow at least three feet of passing distance between a vehicle and a bicyclist. If a child rides a bicycle to school, require that he or she wear a properly fitted helmet on every ride. Find videos, expert advice and safety tips at ShareTheRoad.AAA.com. Talk to your teen. Car crashes are a leading cause of death for teens, and nearly one in four fatal crashes in Oklahoma involving teen drivers occur during the after-school hours of 3 p.m. to 7 p.m. Get evidence-based guidance and tips at TeenDriving.AAA.com.